249 p., 18,1 x 25,4 cm. In the first speech he held after taking a break for two and a half years due to illness, Bernard Bolzano bemoaned the death of his sister Franziska, at whose sick bed his latent lung disease had gotten much worse and became life-threatening. He did however also announce that he was undaunted and would continue his comprehensive series of reforms, pointing out that there were still many new things, and things worth knowing, to be said and that with a combined effort it would certainly be possible to bring about an »improved shape of things.« While he was ill, Bolzano himself had begun, along with his friends and students, to organize, collect and transcribe the edification speeches he had held up to that time. The result of this is that all 45 speeches held in that academic year have been preserved, many of them even in several different transcriptions. 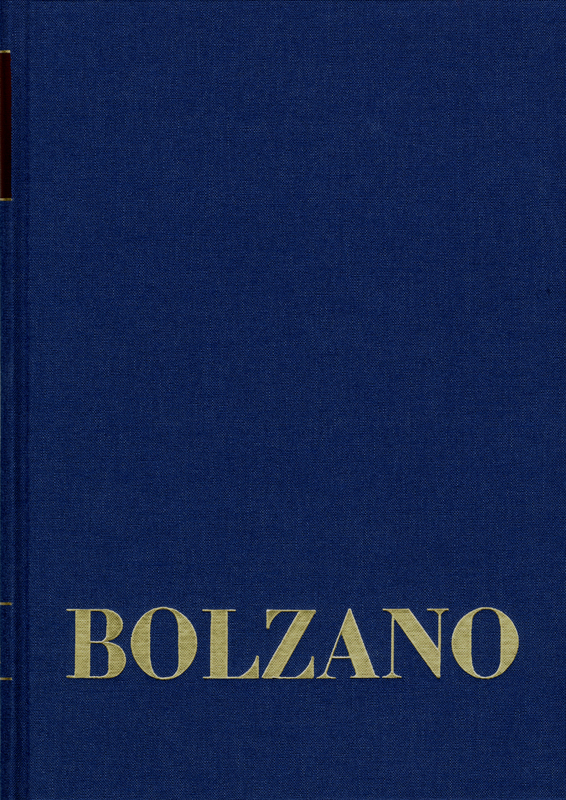 In these speeches, Bolzano talks about conduct toward the »enemies of the Enlightenment«, about theatrical performances, musical art, the relationship between the two tribes in Bohemia and many other subjects.